This is a 1970’s vintage ALL 18k. 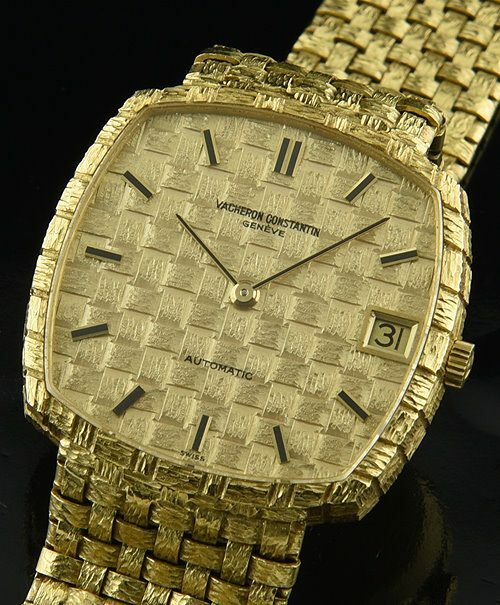 solid gold Vacheron Constantin measuring 35mm. and having its original basket weave style integrated 18k. 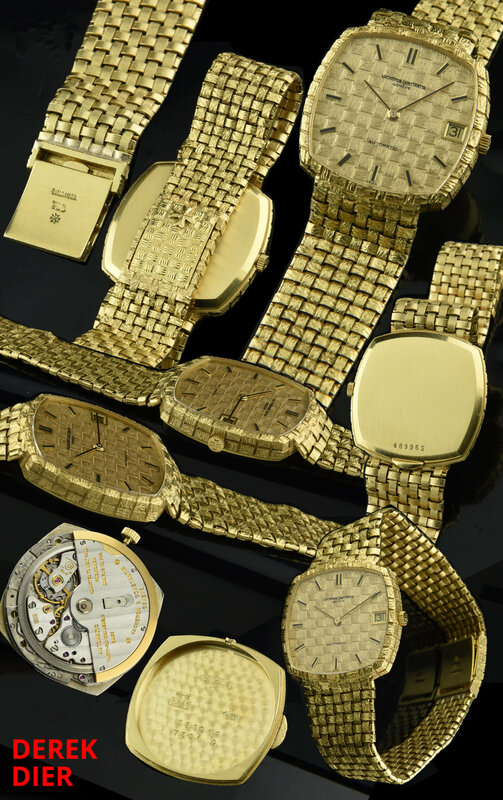 gold bracelet, original solid gold dial and hand set. The Vacheron Constantin caliber K1120 high quality rhodium plated movement with “fausses-Cotes” decoration, 36 jewels and adjusted to 5 positions and heat and cold was just expertly cleaned-accurate. Notice the 18k. solid gold band on the rotor. Priced VERY well at only $6500.